Nowadays, couples have the choice to get married wherever they want in the world. The modern wedding industry is global, with a world network of wedding planners and professionals that can provide couples with the wedding of their dreams in any town, in any country, in any continent. Each place and person has its individual customs, culture and style, but all weddings share a few things in common: love and luxury. Imagine all those responsible for making these beautiful destination weddings happen, such as the top wedding planners and the fantastic service providers, getting together under one roof to share their expertise. The Destination Wedding Planners Congress does just this, and the result is a symphonic blend of international wedding planning inspiration. This year’s annual DWP congress will take place in Los Cabos, Mexico, from the 10th – 12th April, and it will be bigger and better than ever. In just under four weeks, the most eagerly anticipated international wedding event of the year will take place, featuring an impressive line up of the world’s leading planners. For the 2018 edition, the DWP Congress is gearing up to host 600 wedding connoisseurs from across 70 countries making the Congress a truly global extravaganza. The event is a three-day initiative that involves both a network and celebration of the world of weddings. From inspiring talks, panel discussions and pre-arranged one-on-one meetings with other experts, to a grand welcome cocktail reception, gourmet luncheons and gala dinners – the occasion showcases all the wonders and luxuries of the industry. In 2017, the DWP Congress took place in Thailand, another magical destination wedding location, and the event was a big success. This year, wedding planners can expect even more. Teaming up with The Los Cabos Tourism Board, together with The Mexico Tourism Board, the one-of-a-kind event will demonstrate the benefits of wedding tourism in a beautiful location such as Los Cabos. It’s no wonder that the DWP Congress has welcomed over 450 attendees from 65 countries, and 98% of them want to return for 2018. A good wedding planner may be creative and professional, but also relies on a strong network of venues, photographers, florists, decorators, caterers, bakers, musicians, DJ’s, and more, to achieve the perfect event. A destination wedding planner, however, has an even more important role. It’s a role that involves guidance and orientation for couples who are foreign to the area and want to have the wedding of their dreams without knowing where, who and how. 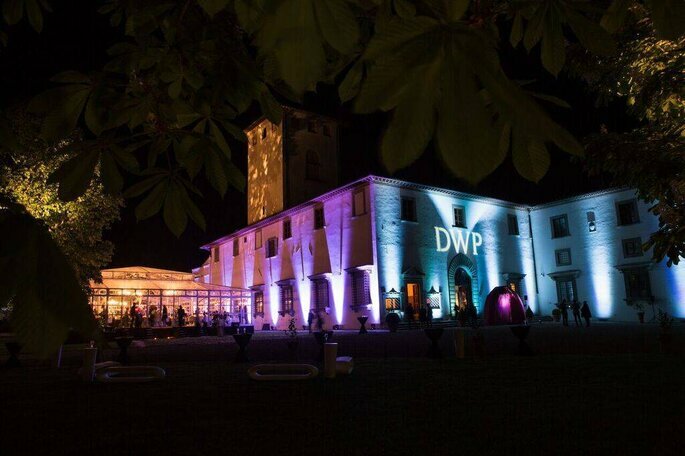 The DWP Congress strengthens this network on an international level and invites the best wedding planners from around the world to share their experiences. 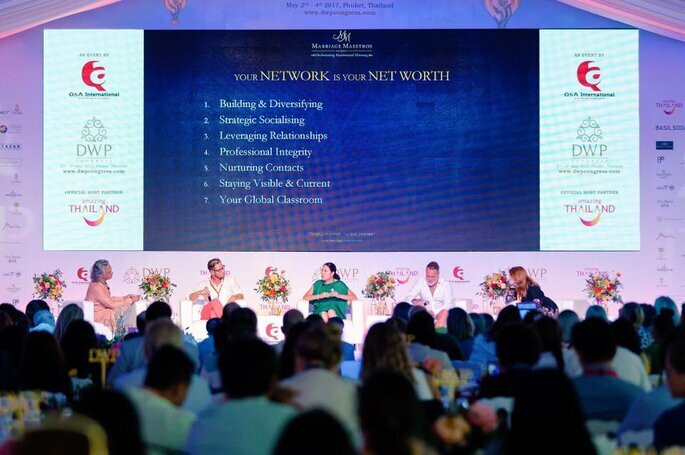 Among the most prestigious speakers lined up for 2018, there is Sharon Sacks, of Sacks Productions USA; Barbara Diez of Barbara Diez Event Planners in Argentina; Ali Bakhtiar from Ali Bakhtiar Designs, UAE; Evelyn Mills, founder of Marriage Maestros in Hong Kong; Alejandra Poupel of Alejandra Poupel Events, France, and many more international industry leaders. The agenda for the event annual event is the perfect blend of business and pleasure. On Day 1 at the Cabo Del Sol, the attendees will get to meet each other as well as marvel at the beautiful and mesmerising scenery of Los Cabos (voted a must-visit for 2018 by National Geographic). That evening, the guest arrival includes a Mexican sundown cocktail party with vibrant discussions and delicious food. Day 2 will take place in the lovely Los Cabos Convention Centre, nestled between the desert and luxury golf community. The day will include inspirational talks from celebrity panelists, as well as one-on-one meetings, and will finish with a spectacular gala dinner at the foothills of the Grand Canyon San Carlos. Day 3 will be more focused on niche subjects such as the power of optimising your SEO and blogging, the art of storytelling and design and budgeting inspired sessions, led by experts in each field. To conclude the three days there will be a bohemian themed farewell party held at a beautiful oasis in the middle of the desert, at the super chic Acre Restaurant. The DWP Congress will be a glittering display of everything there is to do with destination weddings. 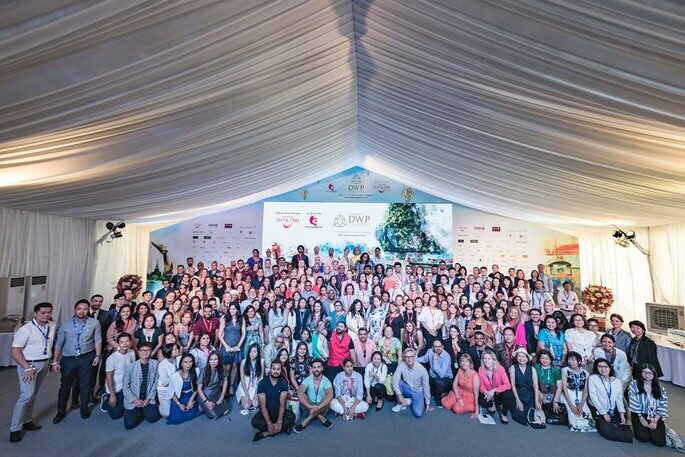 The top wedding planners from across 70 countries will benefit from the power of collaboration, the ability to strengthen connections worldwide and learn from shared experiences while they represent their country at the most anticipated wedding event of the year.